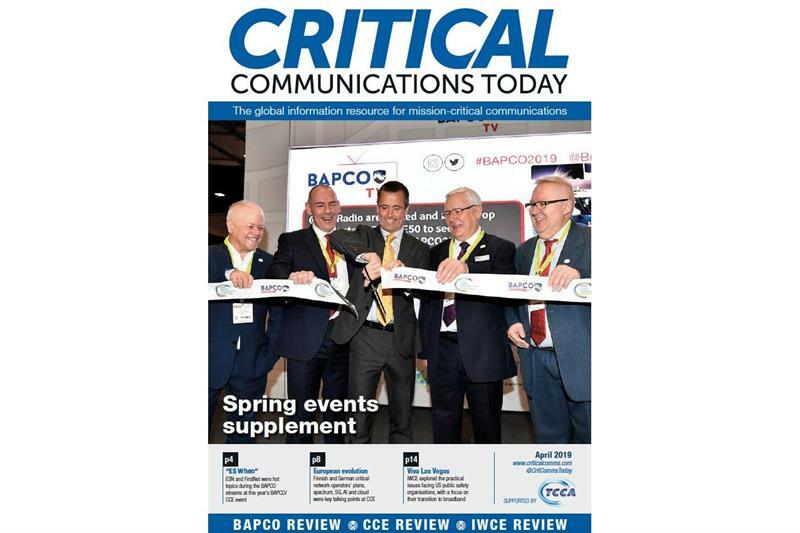 ​As a special treat for our readers, we've put together a supplement that covers the key talking points at this year's BAPCO/Critical Communications Europe (CCE) and IWCE events. 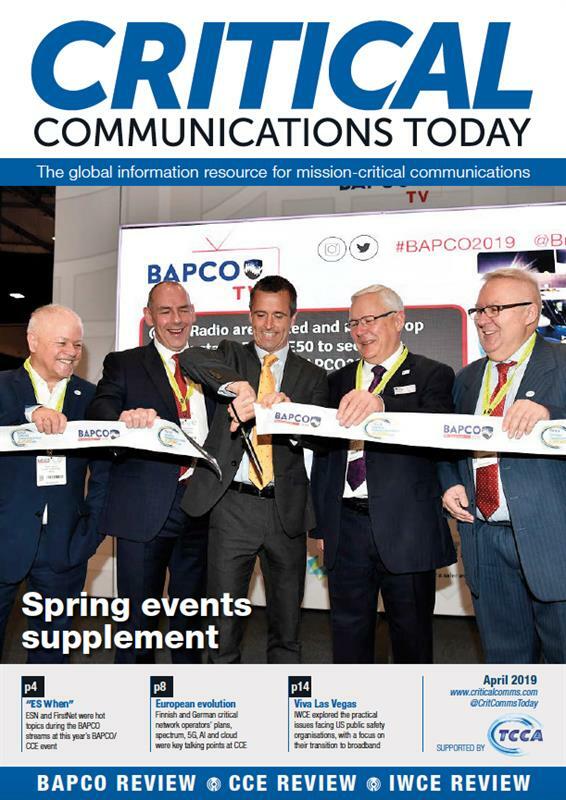 You'll find coverage of the BAPCO stream on page four with a focus on presentations on FirstNet and ESN, while we start delving into Finland's and Germany's plans for the transition to mission-critical broadband on page eight. Our coverage of the CCE stream also includes summaries of the discussions on 5G, spectrum, AI and the cloud. Finally, on page 14, we report on the key discussions at IWCE. One of the most interesting debates there was when public safety agencies will make the jump to mission-critical broadband for voice and end their use of LMR network, together with the factors that will prompt this move. This was also explored in the roundtable that we ran in association with PowerTrunk on the sidelines of IWCE - look out for a feature on this in our April issue, which will be with you soon.